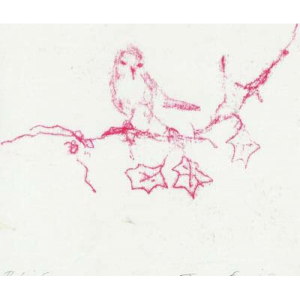 Brandler Galleries has in its collection a number of works created by eminent London-born artist Tracey Emin. Originally a member of the so-called Young British Artists generation of the 1980s, Emin has covered a variety of mediums such as drawing, painting, sculpture, film, photography, and needlework. Typically controversial, Emin, of British Romani and Turkish Cypriot descent, has gained a worldwide following, with much of her work fitting within the feminist discourse resonating with feminist tenets of ‘the personal is political.’ The artist was made Royal Academician by the Royal Academy of Arts in 2007, receiving CBE status from the Queen in 2012, highlighting her critical acclaim from many sections of society. Living and working between London, New York, and the South of France, Tracey Emin’s autobiographical and confessional style first caught mainstream society’s attention in 1997 with ‘Everyone I Have Ever Slept With, 1963-1995,’ a tent with the names of all the people Emin had previously slept with. This was followed in 1999 with ‘My Bed,’ which was a display of the artist’s unmade dirty bed following a short period of emotional turmoil which was a consequence of the end of a relationship. 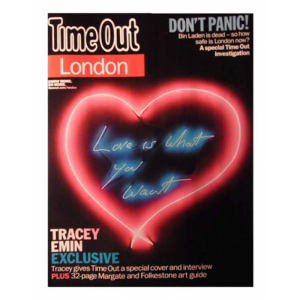 Furthermore Tracey Emin’s personal, honest, moving style has gained immense popularity as the artist explores ‘complex personal states and ideas of self-representation through manifestly expressionist styles and themes’ (traceyeminstudio.com). 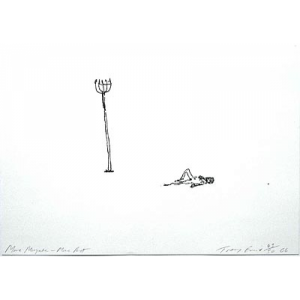 Within Brandler Galleries’ Tracey Emin collection themes of profundity and candidness are demonstrated. 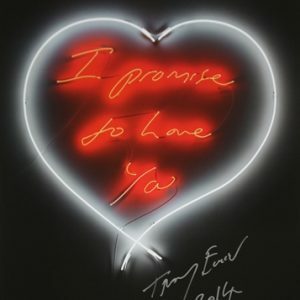 ‘I Promise to Love You,’ 2014, for example, presented in a trademark neon style, has a striking, intimate appearance. ‘Robin Sez,’ 2002, in contrast, has a more subtle yet equally heartfelt appearance. 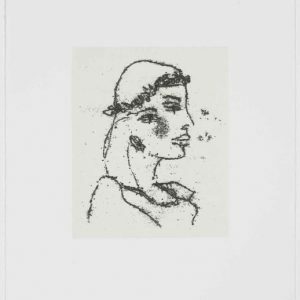 Similarly ‘Beautiful Girl,’ 2011, is a sketch that is as delicate as ‘Robin Sez,’ and is thought to be the only version on the market. 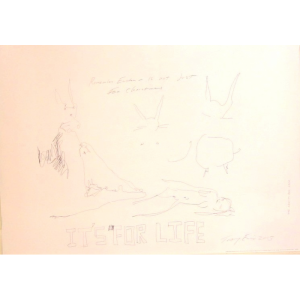 Furthermore Tracey Emin’s work allows an insight into her inner emotional and psychological world through artistic manifestations of her memories, feelings, and personal experiences.